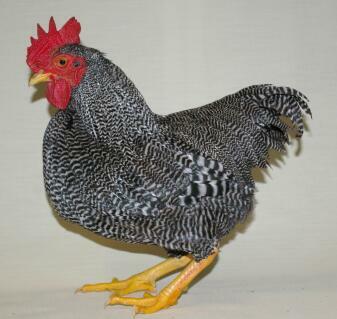 The Plymouth Rock Bantam is a miniature version of the Plymouth Rock and has been bred from various different breeders in several countries. 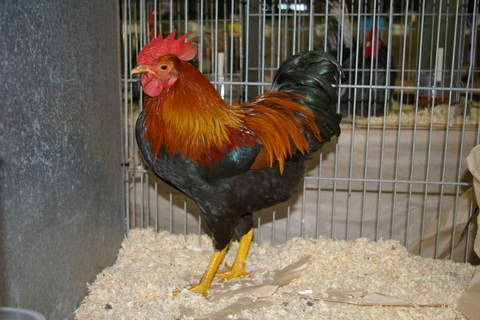 The first Plymouth Rock Bantams were exhibited in Germany, Britain and the USA in the early 1900s. 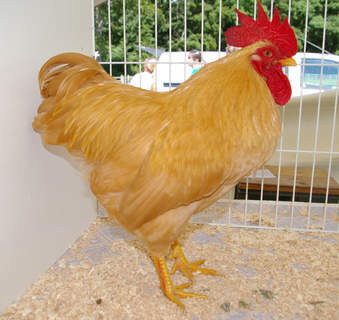 It is a rather large bantam with a long body, short tail, deep, well-rounded breast and yellow legs. 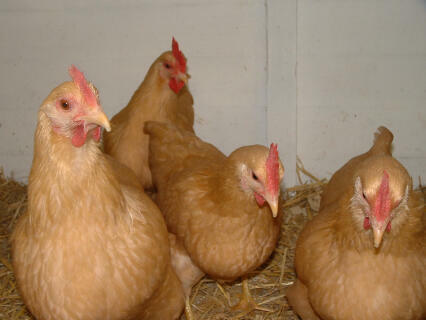 They have a medium sized single comb with large reddish brown eyes. 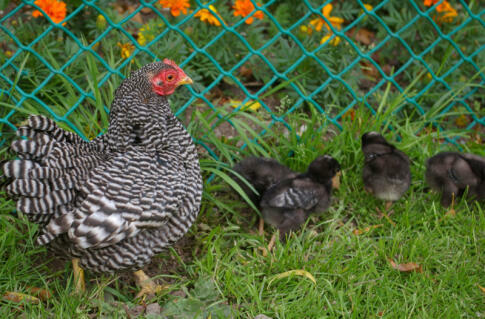 The Plymouth Rock Bantam is a strong, early laying breed which can produce a large number of eggs without suffering from broodiness. The eggs are light cream. 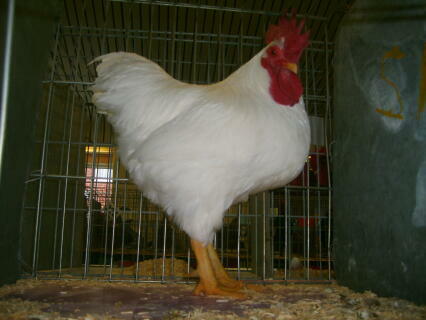 The Plymouth Rock Bantam is not a flier so they don\'t need particularly high fencing to keep them contained. 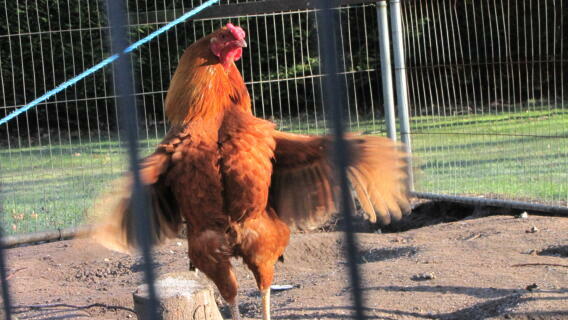 They are friendly birds which are easily tamed. 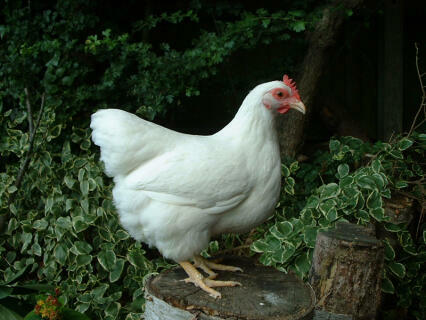 The chicks are fast growers and a cockerel can weigh in at around 3lbs. Black, white, buff, Columbian, buff Columbian, multiple pencilled partridge (triple laced) multiple pencilled silver partridge, barred, red barred, blue laced and red porcelain. Barred being the most popular colour. This was the first breed I had and have always found them easy, healthy and pretty good layers. They have coped with our overgrown garden and apart from being a little fussy in their diet, (won't eat kitchen left overs much) they have been a delight. Highly recommended. I want some more but no one seems to be breeding them now. 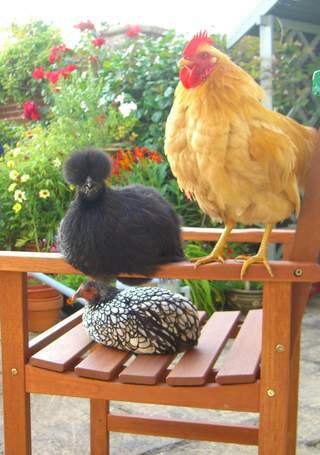 I have three buff plymouth rock bantams and they are the most lovable creatures! 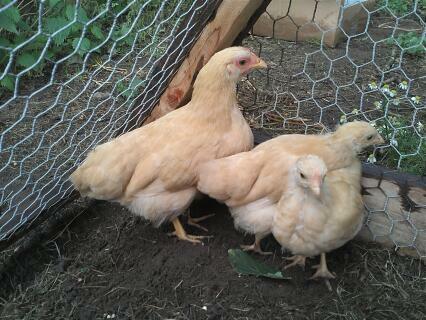 We have just hatched out one chick and we spend time with them everyday by digging worms or giving them spinach etc. We got two rabbits shortly after getting the hens and the hens are just as much entertaining as the rabbits, maybe even a little bit more! 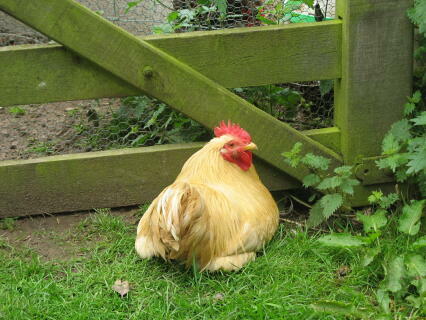 When we first got them they were shy but you have to gain up there trust and they now follow you round the garden! 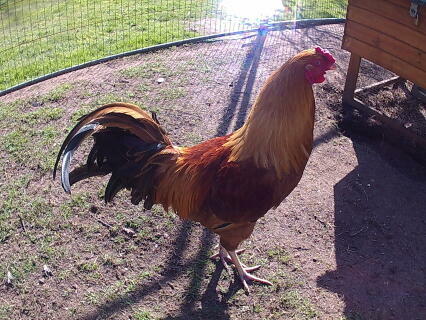 Great pet, always interested in what you have got and are a great breed to add to your flock.